Is Disparate Income Sufficient Grounds for a Child Support Reduction? As a practicing family law attorney, you know that the female clients you represent in divorces for the most part work outside the home and earn substantially more income than was the case just 10 years ago. Some of them earn the same salary as the husbands they are about to divorce, and some earn considerably more than their husbands. This rise in the capacity of women to earn good or even superlative incomes has changed the complexity of the property settlement agreements, spousal maintenance negotiations, and even child support calculations you now need to make. 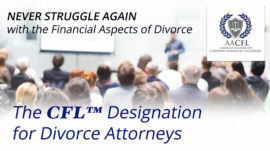 Luckily for you, the advanced financial knowledge and skills you gained by earning your CFL Designation for Divorce Practitioners let you meet these challenges with confidence. In all likelihood, your jurisdiction has child support guidelines that you need to follow, regardless of how much your client and his or her spouse earn. But is a vast disparity of incomes between an ex-wife and an ex-husband grounds for a post-divorce reduction in child support by the party with the lower income? The Supreme Court of Alaska recently took up this issue in the case of Christopher D. v. Krislyn D.
Christopher and Krislyn married in 1996 and had two minor children at the time they separated in January 2014, allegedly because Christopher committed an act of domestic violence against Krislyn while under the influence of alcohol. At this point, Christopher was a city police officer and Krislyn was a veterinarian who owned her own practice. She subsequently filed for a legal separation that she later converted into a divorce. The judge entered, among other things, an interim custody arrangement, but neither party pursued a child support request until two years later. By the time of the ultimate custody trial in November 2016, Christopher’s drinking problem had progressed to the point where he had been convicted of DWI and possession of a firearm. Even though the couple had resolved all their property issues, the final custody and child support issues remained to be litigated. In addition, Christopher had been re-arrested for DWI, reckless endangerment, resisting arrest and violating the release conditions of his previous conviction. At the custody trial, Krislyn asked for child support commencing November 1, 2015, one month after entry of the divorce decree, based on the “informal interim financial arrangement [prior to the decree] regarding child support.” Christopher sought a reduction of his child support obligation based on Alaska’s “good cause” exception. The court denied the reduction, stating that “[disparity] of earning potential does not … obviate the need for support to be calculated.” The court, nevertheless, ruled that Christopher’s child support payments should begin on January 1, 2017, rather than on the date Krislyn had requested. Both parties appealed. 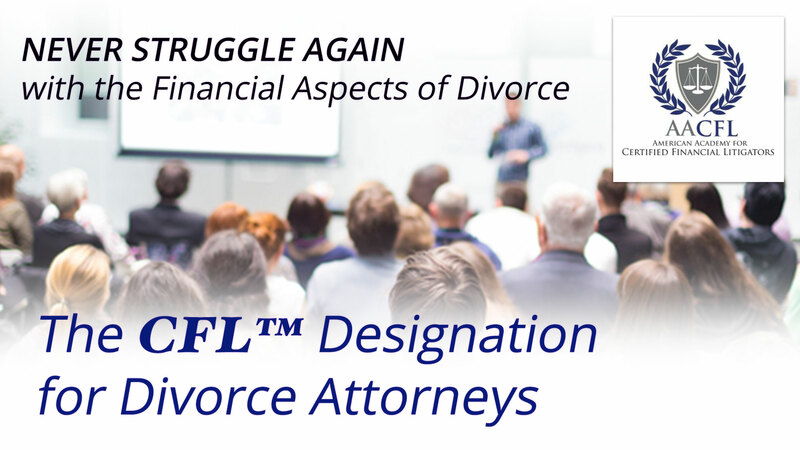 For more information on how gaining your CFL Designation for Divorce Practitioners gives you the financial knowledge and skills you need to attract additional high-asset clients, plus other benefits of AACFL membership, please visit this page of our website.